Mt. 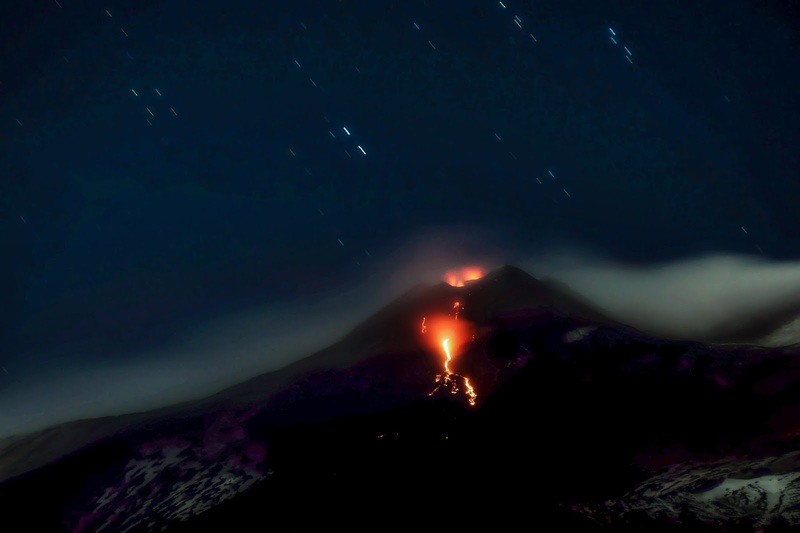 Etna is sliding and Europe's most active volcano is prone to a devastating sector collapse on the downslope side of the mountain. A British led team of scientists have established that the whole structure on the Italian island of Sicily is edging in the direction of the Mediterranean at a rate of 14mm per year, it doesn't sound very much but the strain on billions of tonnes of rock must cause incalculable stress and at some point in the future a spectacular collapse is inevitable. Geological investigations elsewhere in the world have shown that extinct volcanoes that display this kind of trend can suffer catastrophic failures on their leading flank as they drift downslope. To emphasize the problem, Mount Etna is Europe's most active volcano and is prone to seismic activity. Certainly, there is absolutely no evidence that this is about to happen at Etna. Local residents should not be alarmed, the Open University scientist said. "The thing to watch I guess is if in 10 years' time the rate of movement has doubled - that would be a warning.